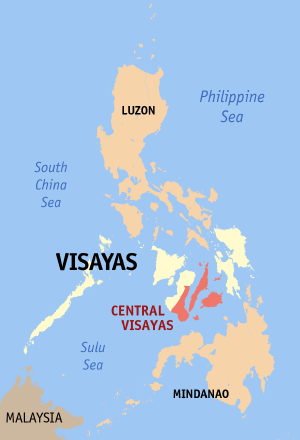 Map of the Philippines showing the location of Central Visayas. kasamtangan 02:31, 15 Agosto 2017 300 × 440 (17 KB) Nikbert16 Reverted to version as of 23:38, 27 February 2006 (UTC) Negros Island Region abolish. Reverting Negros Oriental back into Central Visayas.